Boston, Massachusetts - March 2, 2017 - Boris FX™, the leading plug-in developer of professional post-production tools, will be showcasing major new versions of the industry’s premier plug-in packages Continuum and Sapphire, along with its groundbreaking new 360/VR tool, Mocha VR, at the National Association of Broadcasters (NAB), April 24-27, 2017 in Las Vegas, Nevada (Booth SL6824). Technology advancements in keying, motion tracking, and 360 video optimization drive new features into the Boris FX family of products. Flagship plug-in package Sapphire 11 will be updated to include integrated Academy Award-winning Mocha tracking and masking technology for creative effects isolation. A license agreement with Photron® will bring powerful Primatte® chroma keying to all Boris FX products, and development in 360/VR workflows has made Mocha VR a huge success in the emerging cinematic VR market. 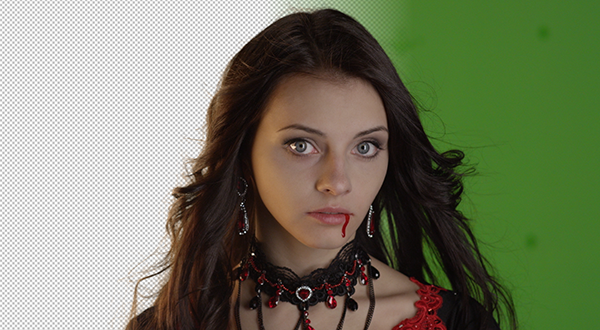 Boris FX has licensed Primatte®, the Academy Award-nominated chroma keying technology developed by Photron®. Primatte’s advanced keying algorithm delivers unparalleled green/blue screen compositing tools and will be released for Avid, Apple, Adobe, and OFX hosts. Under the licensing agreement, all Boris FX products will benefit from the technology. Sapphire, Continuum, and Mocha will all support RLM (Reprise License Manager) floating license services for enterprise customers — allowing administrators to share all Boris FX licenses and background render capabilities across a facility. 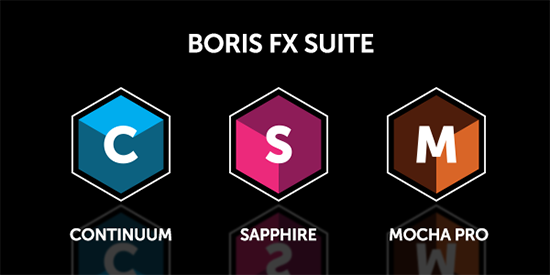 The Boris FX Suite is a new bundle product making the industry’s three most popular plug-in packages (Sapphire, Continuum and Mocha Pro) available together on one license with cost effective pricing. The Boris FX Suite will be available as a permanent license or as an annual subscription for Adobe, Apple, Avid, Autodesk, Blackmagic Design, and other host applications. Sapphire 11 will integrate Mocha’s tracking and masking tools directly into all its filters bringing new workflows for Sapphire users. Integrated masking inside the legendary Sapphire toolset, particularly the lighting and glow effects, will open new doors for Sapphire users. For the first time in Sapphire’s 20+ year history, the expansive Sapphire toolset will be offered as nine individual Sapphire Units. Sapphire Units break down the most popular filters into needful categories, allowing for greater pricing flexibility. 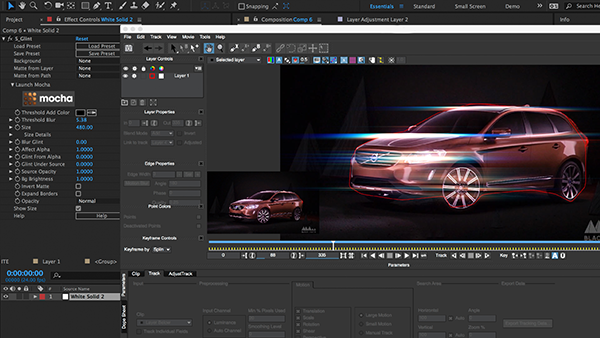 Continuum 11 adds new tools for VFX, motion graphics, and finishing including Primatte’s chromakeyer. New Title Studio features include a real-time 3D particle engine and improved UI for motion graphics and title design; and a new 360/VR Unit based on Mocha VR technology for 360 video finishing includes Reorient, 360 optimized blurs and sharpening, and a Insert 2D 360 filter. Mocha VR brings visual effects workflows to the emerging world of 360 video content creators. 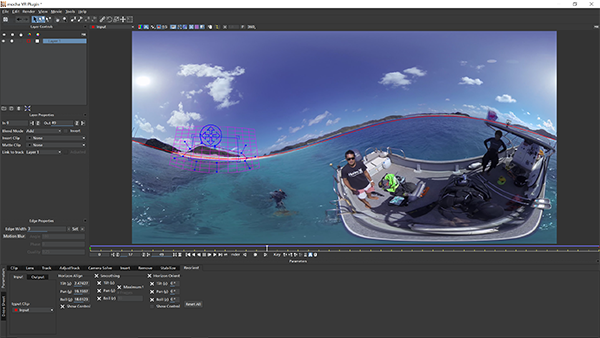 Mocha VR is the first plug-in to bring native 360 optimized tracking, masking, object removal, and horizon stabilization tools to host applications such as Adobe® Premiere Pro CC, Adobe® After Effects CC, Avid Media Composer, The Foundry’s NUKE, and Blackmagic Design Fusion. Mocha VR is available as a plug-in or as standalone application for OS X, Windows, and Linux operating systems. Host support includes pro video applications from: Adobe, Avid, Apple, Blackmagic Design, Autodesk, Foundry, Magix, FXHome, Grass Valley, Corel, and more. To learn more, visit borisfx.com. A special guest demo artist line-up for NAB (April 24-27, Las Vegas Convention Center, Las Vegas, Nevada) includes: John Dickinson from Motion Works; Yoram Tal, Online Editor, Dancing with the Stars; Mae Manning, Freelance Editor; Nick Harauz, Apple, Adobe and Avid certified instructor; Evan Fellars, Black Math; and Culley Bunker, Skulley Effects. To schedule a press appointment at NAB, please contact Jessie Electa Petrov, Director of Marketing, jessiep@borisfx.com. Founded in 1995, Boris FX is a leading developer of VFX, compositing, titling, video editing, and workflow tools for broadcast, post-production, and film professionals. Boris FX products have grown to serve over a million artists worldwide. The company’s success lies in its ability to tightly integrate and leverage technologies through strong partnerships with Adobe, Apple, Avid, Grass Valley, Nexidia, Sony, Quantel, and other leading developers of video editing software. In 2014, Boris FX acquired Imagineer Systems, the Academy Award-winning developer of Mocha planar tracking software. 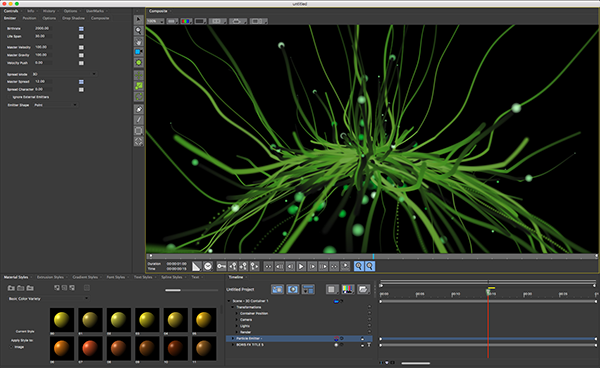 In 2016, Boris FX acquired GenArts, the developer of Sapphire, the gold standard plug-in package for high-end visual effects.